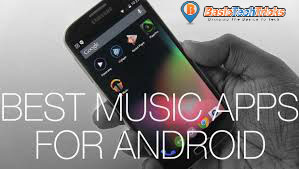 Having best android music player is important especially when you are a music lover and all you care about is music, Music players normally give a different feel, sound and attachment one as towards the android device so if one has a boring music play it will make the owner of the device want to listen to the music. That why I created this post to let you know about the best music players for android which are available. Apps with different features and so on. Some of you who really stayed with BasicTechTricks.com knows that this blog always does it research well and drops awesome and good apps which will blow you out when listening to music, I personally love music and if there is not good music player on my phone then there no need to listen to music, I know the default android music player is good so why download other music players? I will say I have nothing against android default music players but when you are looking for certain control, feel and features that the android default just don’t have it is left to you to look for what you need and what you want. Now some developer know these already and are ready to provide it for you, it just needs you to take your time and look for such android music player apps. Now these android music players apps am going to mention will be or maybe new to you and that aim, its a new year and you should probably try a new music app and see what it offers then you can decide the android best music player which is suitable to you and your music collection. Poweramp is one of the best android music player app you can have, the music player app is packed with features that you can’t resist, so if you are looking for a desktop music player then poweramp can be that for you. The app has amazing features such as it can support nearly all format you play, it separate the bass and the treble to give you chance to edit the outcome of the sounds, tag editing with lots of equalizer design and lots more. The trail version of Poweramp is free, s download and if you like it and you want to have the full version you and buy it from the playstore. Winamp is a popular music player right from windows and now to android devices not still going down, Winamp provides the best features a music player should have that why we have listed as android music player apps which are good and can be regarded as the best. Winamp has lost of features such as winamp supports iTunes importing, Shoutcast internet radio, lock controls and widgets with also plenty of new discovery for free. So you should have Winamp app install as one of your music players on your android device. As the name sounds MixZing is a great android music players app with a good customizable graphic equalizer option, where you can edit the equalizer of a track and apply it to the song, album or the whole song on your playlist, this is really a great android music player app you should have. 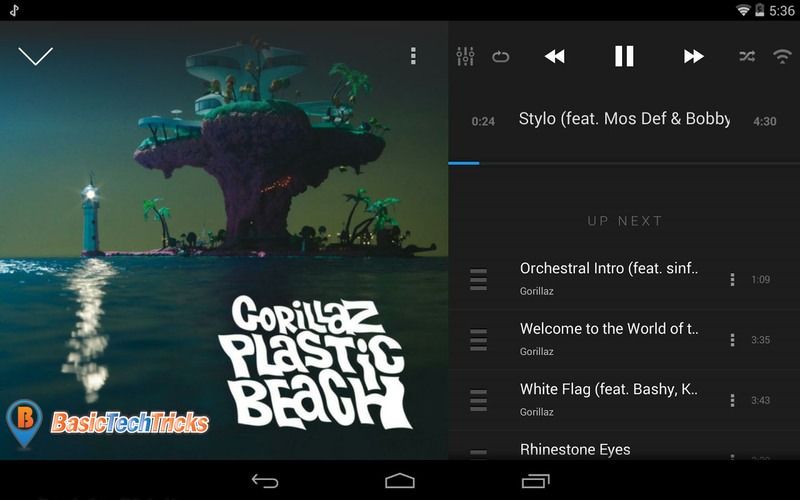 MixZing is really a good android music player app. Music Player Pro is a very cool app that has a lot of customization in it. If you are a music listener who has a lot of music collection then Music Player pro is the android best music player for phone or tablet in which you are using, it easily helps by allowing users easily arrange music by genre, artists or by favorites. 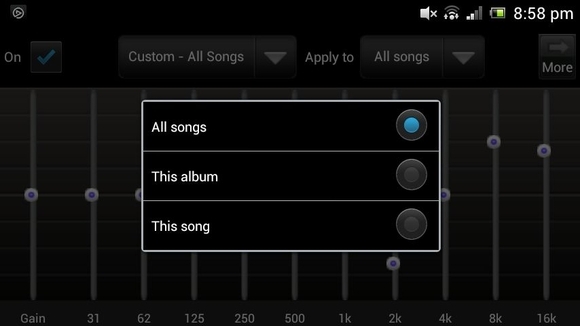 Music Player Pro is a free app for android and also provides like 5 widgets which can be used in the home screen. Great music app for android, with its clean UI design which makes it very easy to navigate through the player. There are also some amazing features which is attacked to it too, such as a great set if equalizer, lock screen widgets, inbuilt search bar for the music library and well as a proper arrangement of musics . As one of the android best music player the player meets all standards and if you are not comfortable with the features you can also upgrade to the paid version which gives more access to more music formats and also 10 set of equalizers. 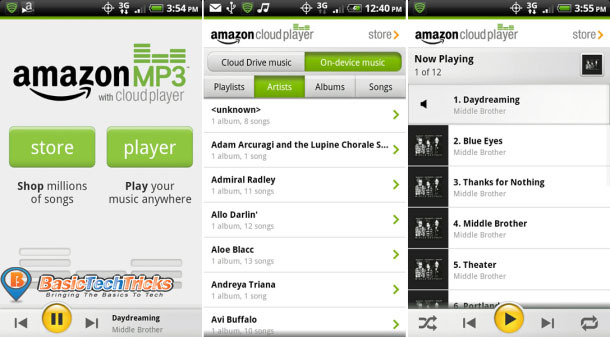 As the name sounds, it has to do with Amazon which makes users of the music app for android to actually have access to the store and also the streaming of music, the player helps keeps song you must have bought on amazon and allows you play them and it also allows you to upload your own music. Very cool app and best of the store type music player app its among the android best music player apps which you can consider once you are always connected. This is a lyrically built music player for android which shows the lyrics of the song you are listening to the app screen, not very much players can do this and that why musiXmatch is called the android best music player apps as it download the lyrics of the songs in the library. it also allows users create their own playlist which the music in the library. The app also has a way to access the Last.fm and some other clean and cool functionality. 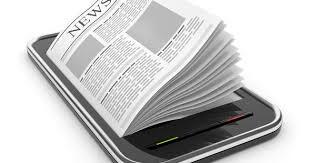 Android has a lot of music players that one should really give a chance to see what this different music android players apps actually do and when one can say the best and not the best. Very interesting and cool apps for music playing in android device and I can also call them the android best music player but it also depends on your choice too. 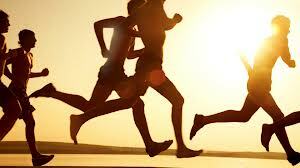 So pick your best. Those are some nice apps. 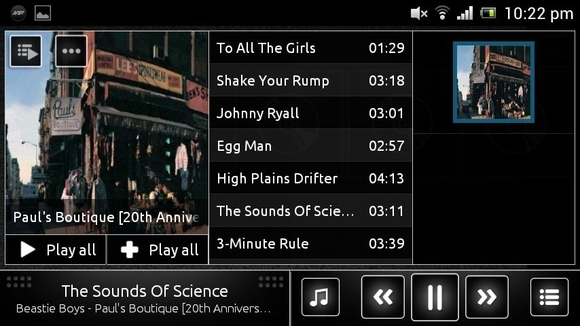 Poweramp Music Player is my favourite for music though its not free but its worth the money. musiXmatch also looks quite good, I will try it out.